Halimatou Hima Moussa Dioula ’10, or Halima, as she likes to be called, was nominated by the Bill & Melinda Gates Foundation to be a speaker for TedxChange 201, which takes place Wednesday, April 3, 2013, at noon Eastern (9 a.m. Pacific time) in Seattle, Wash., and is viewable live online. Themed Positive Disruption, TEDxChange 2013 speakers will challenge preconceived ideas, spark discussion, engage leaders, and shed light on new perspectives. TED.com will provide a free live stream of TEDxChange in English, French, German, Portuguese, Spanish, Mandarin, Korean, and Arabic for viewership around the world. You can also follow Tedx on Facebook. Halima was an international relations major at Wellesley, as well as an Albright Fellow, and is from Niamey and Arlit, Niger. She was also a Davis United World College Scholar. In 2011 she was named one of Africa’s 25 outstanding emerging women leaders. She is now a master’s in public policy candidate at the Kennedy School of Government at Harvard University. 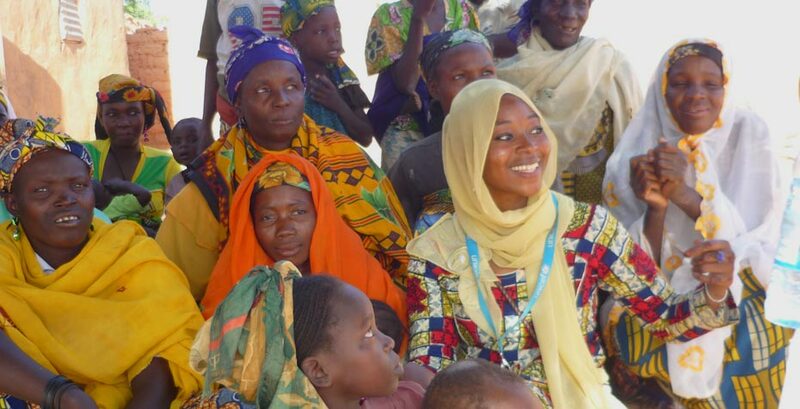 Following an internship in the Women & Population Division at the United Nations Foundation, she worked in the Child Protection Division of at the United Nations in Niger (UNICEF). Halima will join host Melinda Gates and speakers Cathleen Kaveny, professor of law and theology at Notre Dame Law School and visiting professor at Princeton University; Roger Thurow, a 30-year veteran of the Wall Street Journal; Julie Dixon, deputy director of Georgetown University’s Center for Social Impact Communication; David Fasanya, performance artist and award-winning poet; and Salim Shekh and Sikha Patra from the film Revolutionary Optimists. From their varied viewpoints, these speakers will look at how disruption can be positive—indeed essential—to solve the most intractable challenges in health and development. Halima's talk is called Investing in Girls.